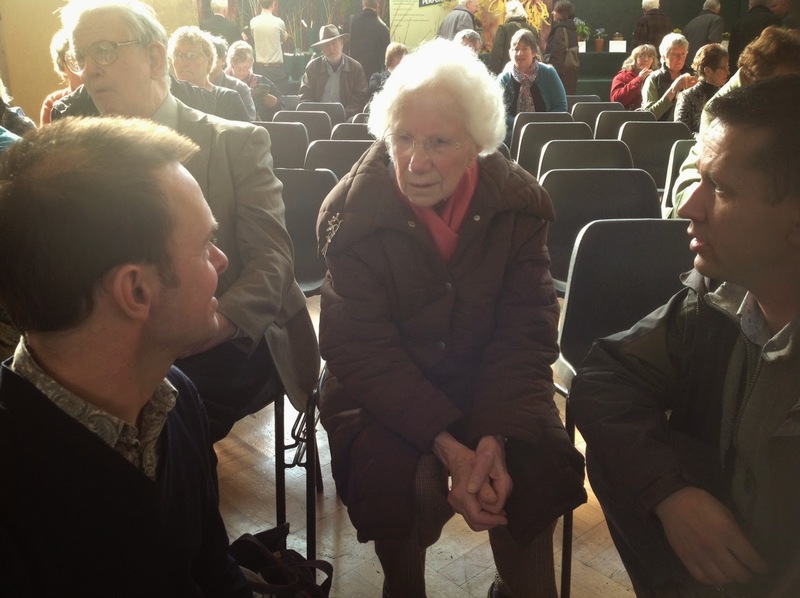 Ruby Baker, seated where she was always to be found on RHS show days, on the dais in the New Hall, surrounded by friends (in this case Matt Bishop (l) and Jorg Lebsa, February 2012). The sad news broke yesterday that Ruby Baker, one of the pre-eminent galanthophiles of all time, had died on Sunday following a heart attack suffered while weeding in her family's garden. She was 90, but in the twenty plus years I knew her she had changed little: her slight frame becoming a little slighter perhaps, but the white hair, tidy under a hairnet, was a constant beacon at every snowdrop gathering. We first met at Primrose Warburg's home, South Hayes, for lunch one snowdrop season, possibly as long ago as 1988 (I can't check that at present), when Ruby and David Baker, Kate Garton and I were the only guests. The Bakers were comparatively new to snowdrops at that time (I was a complete neophyte), but they rapidly became undisputed experts, ransacking the Lindley Library for every scrap of information they could gather. That thirst for information on snowdrops never left Ruby, but as well as gathering it in she passed it on freely, usually in densely written notes in her neat handwriting. She carried on a huge correspondence with fellow galanthophiles, including many in Germany, despite struggling with the language, and undoubtedly had a great hand in building the bridges that now exist between British and German snowdrop enthusiasts. The input Ruby and David provided to our book Snowdrops was truly extraordinary: it was never too much for them to hunt out an obscure reference, or correspond on our behalf. Less tangible perhaps, but at least as important was the enthusiastic support they gave us, especially to Matt, during the long spells of writing and editing. 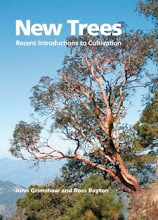 In the preface we wrote: 'The title page bears the names of three authors, but it is only fair to credit Ruby and David Baker with honorary co-authorship of this book, since they have been untiring in their assistance and encouragement. We are deeply indebted to them.' I hope that was sufficient tribute. Sadly David died about ten years ago, but Ruby carried on, becoming more dependent on friends for lifts, but missing very few events. She gave amazing amounts of time to help Ronald Mackenzie propagate and then pack the snowdrops he sold through the Snowdrop Company, but was also very generous in distributing snowdrops from her garden in Surrey. An early outbreak of Stagonospora had caused havoc there, so she grew most of her collection in pots (and had repotted them all recently). The first-hand experience of this disease gave rise to her memorable description of the discoloration it causes to a bulb as being like 'the stain on a smoker's tooth'. She had an excellent sense of humour, backed up by a rather naughty chuckle. 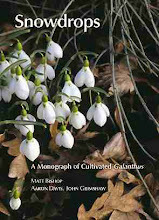 'Everybody's favourite galanthophile' was Val Bourne's description of her at a gathering for the 'immortals' commemorated by a snowdrop named after them. Galanthus 'Ruby Baker' is a rather round-flowered hybrid, probably involving G. gracilis, named for her by Robin Hall of Primrose Hill, Lucan, Ireland, and the German galanthophile Hagen Engelmann has named a beautiful green-tipped G. peshmenii selection 'Ruby's Gebeurtstagsblumen' - her birthday was in October, when it flowers. David is commemorated by the robust Atkinsii-like 'David Baker', with green tips on its outer segments, which appeared in their own garden. Of the many selections they introduced perhaps the elegant, green-washed 'Kildare' is the best known, especially for the tale (recounted with a wink) that it had been found while 'hopelessly lost' somewhere in that county. Sadly, though hardly surprisingly, the naming of a snowdrop after one does not confer physical immortality, and though Ruby needs no nomenclatural memorial to be remembered by those of us who knew her, her name will live on in gardens belonging to many who didn't. 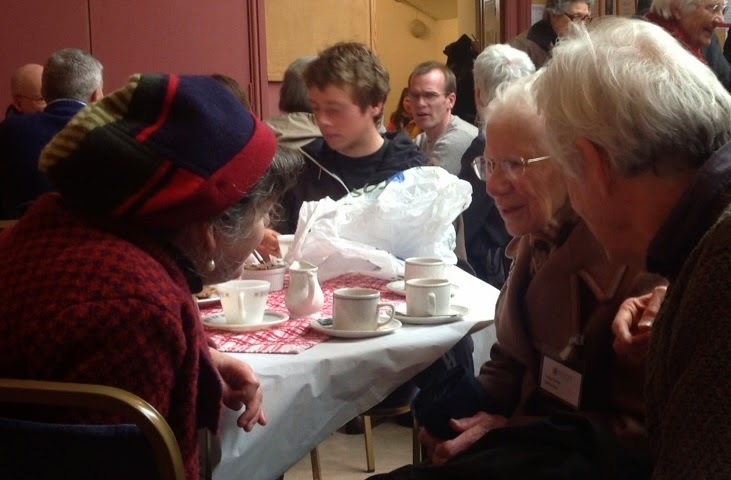 Ruby Baker at the Shaftesbury Snowdrop Festival this year, her quest for snowdrop information undimmed, deep in conversation with Angela Whinfield and an unknown gentleman. The great parallel borders rightly attract huge interest and admiration, but look at how important the conifers beyond it are in giving height and diversity of shape to the whole landscape. A meeting took me to Wisley on Thursday and for once I had a couple of hours free afterwards to actually get out and enjoy a walk round the garden. 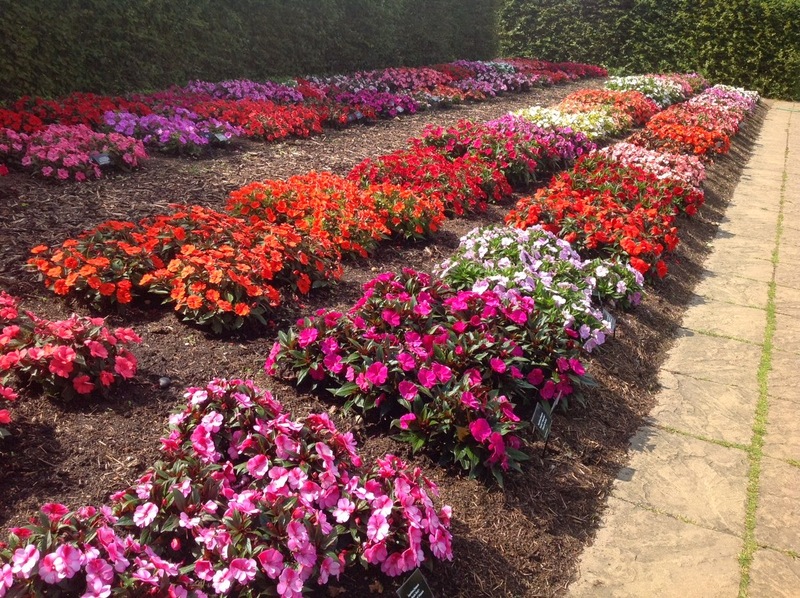 I've been visiting Wisley for over 30 years and I can honestly say that I've never seen the garden looking better: it's a real credit to the team looking after it. 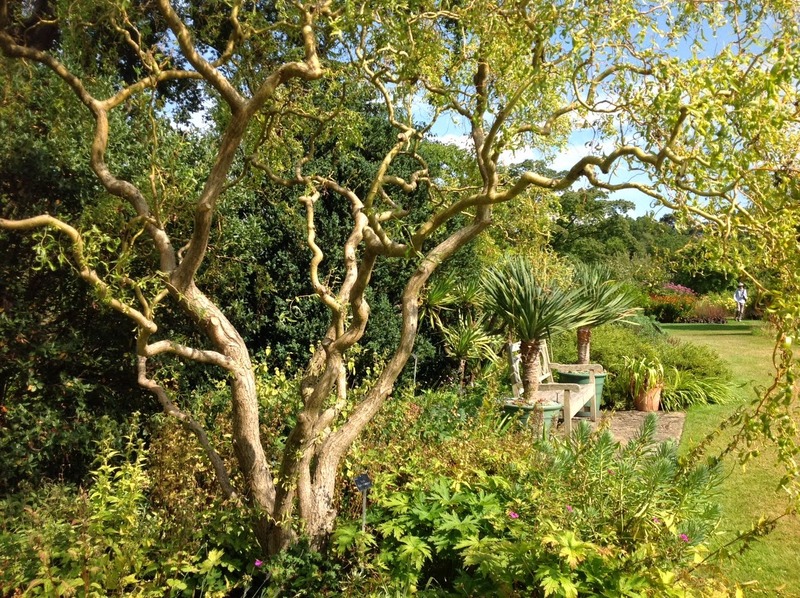 These are a few iPad snaps, hopefully conveying an impression of a great garden on a beautiful afternoon. 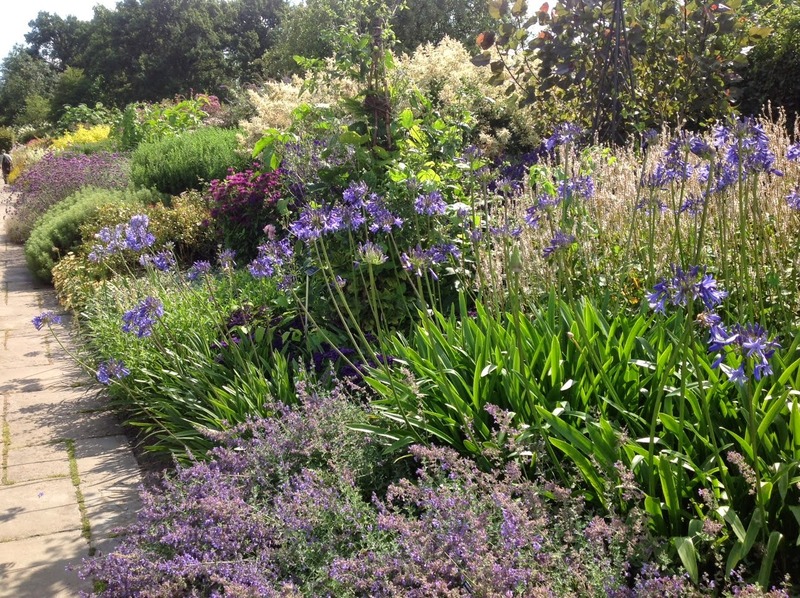 A bluish section of the herbaceous border. The shimmer of Persicaria amplexicaulis 'Alba' behind the Agapanthus is particularly lovely. 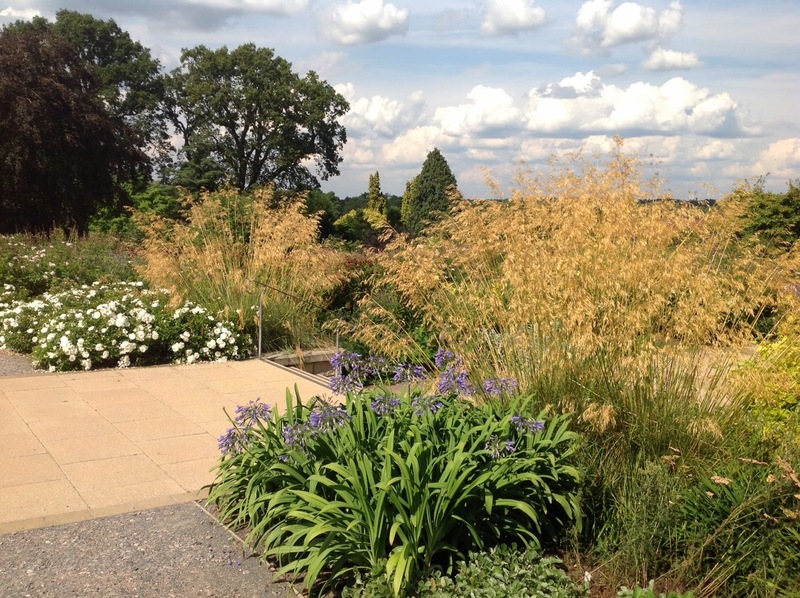 Stipa gigantea in the new rose garden - mixed planting at its best. Those important conifers are in the background again. 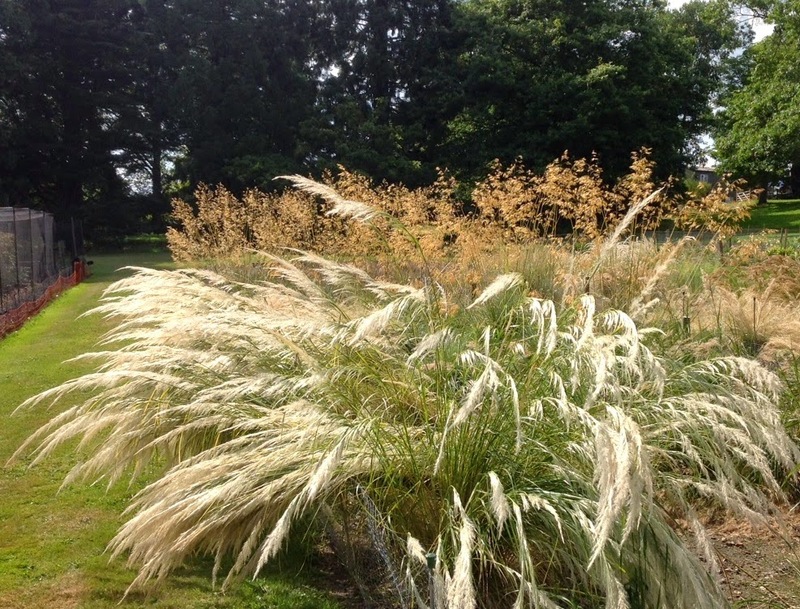 On the trial field is a trial of Stipa and relatives - a very interesting demonstration of a useful group of grasses. The blonde plumes of S. pseudoichu are very striking. 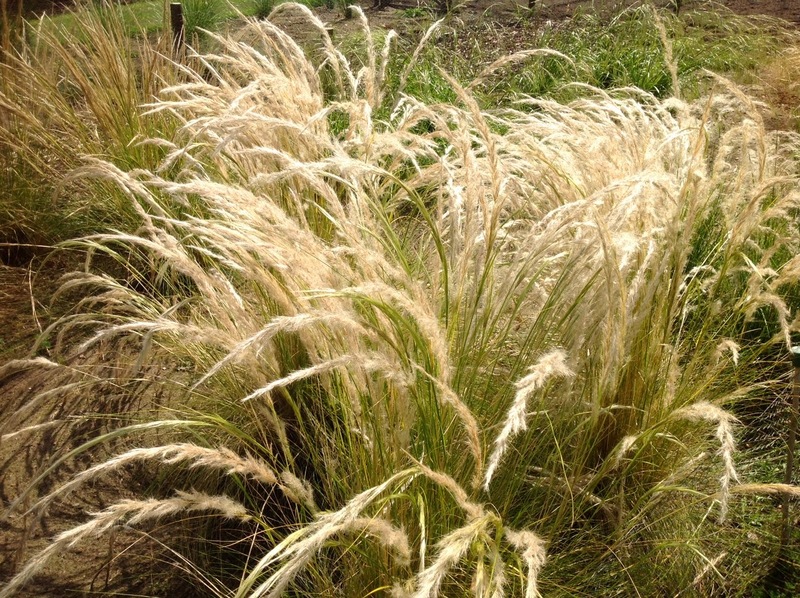 This the ichu of which the preceding plant was pseudo-, Jarava ichu, a grass from the Andean altiplano. Presumably ichu is a local name for it. Neither is well known and it will be interesting to se if they become established in general cultivation. 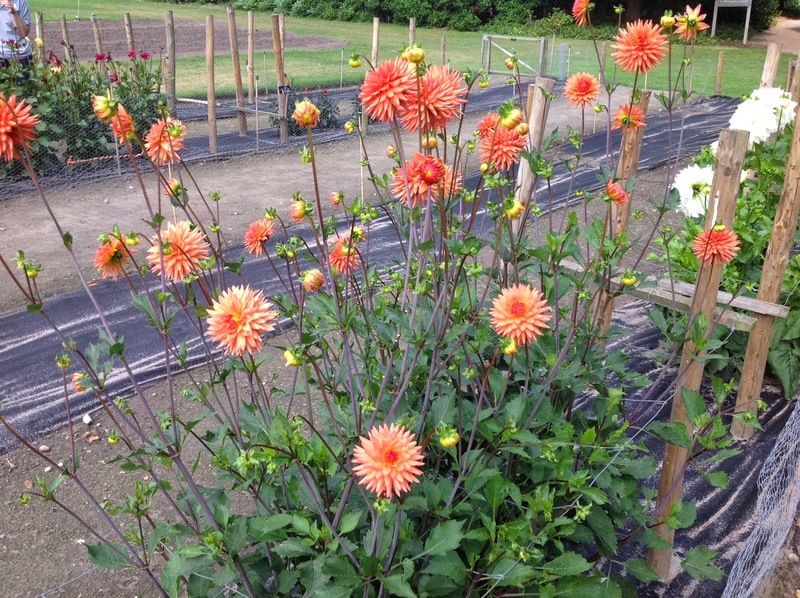 The Dahlia trial is just coming into full display. 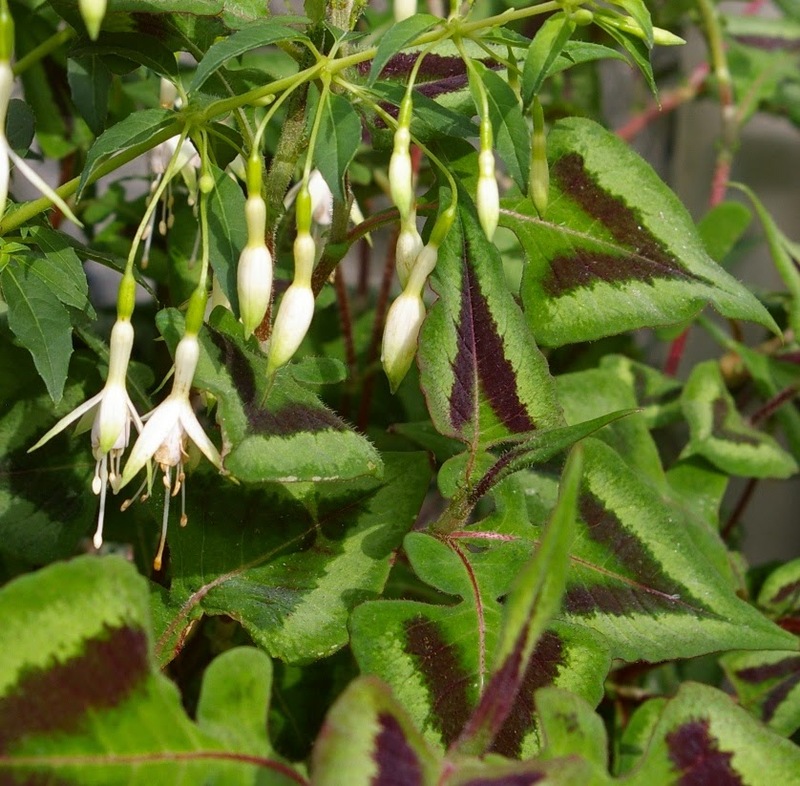 I liked the open-ness of 'Tom McLelland', as well as its flower shape and colour. It would work well in the border. 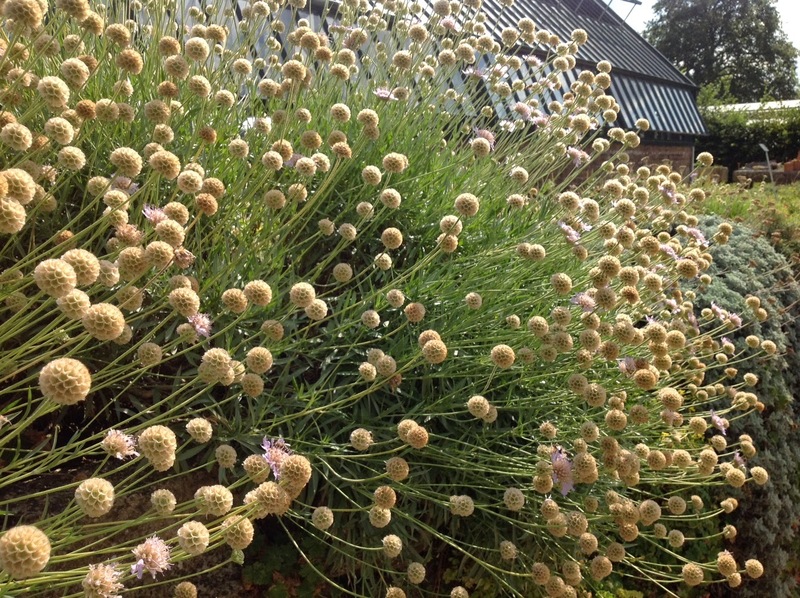 Outside the alpine house a huge bush of a shrubby Scabiosa (no label, perhaps someone will let me know?) looked as good in seed as it must have done in flower. It's good to see Bowles' Corner revamped and looking cared for again. 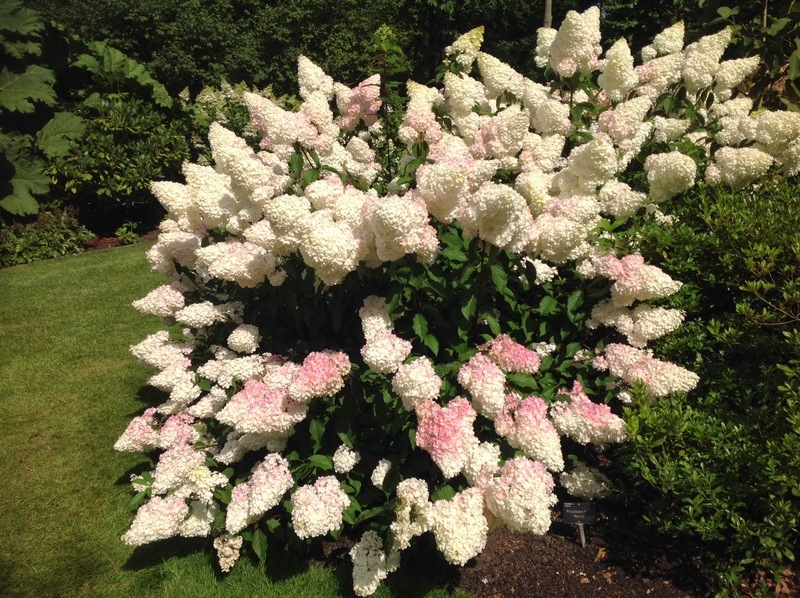 Hydrangea paniculata Vanille Fraise ('Renhy') looking stunning at the bottom of Battleston Hill, and nicely demonstrating the aptness of its trade name. 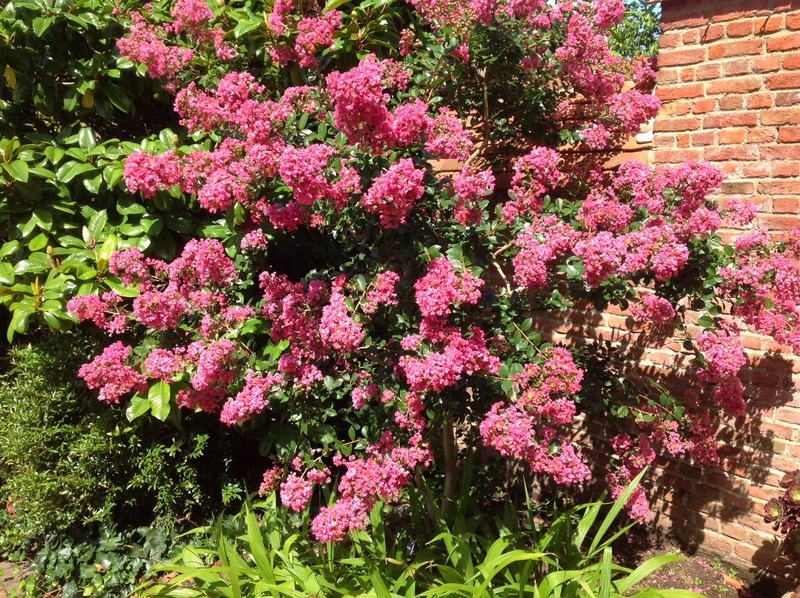 Lagerstroemia indica very seldom flowers well in this country, but this one is very happy in a warm corner by the Laboratory, clashing merrily with the brick wall. 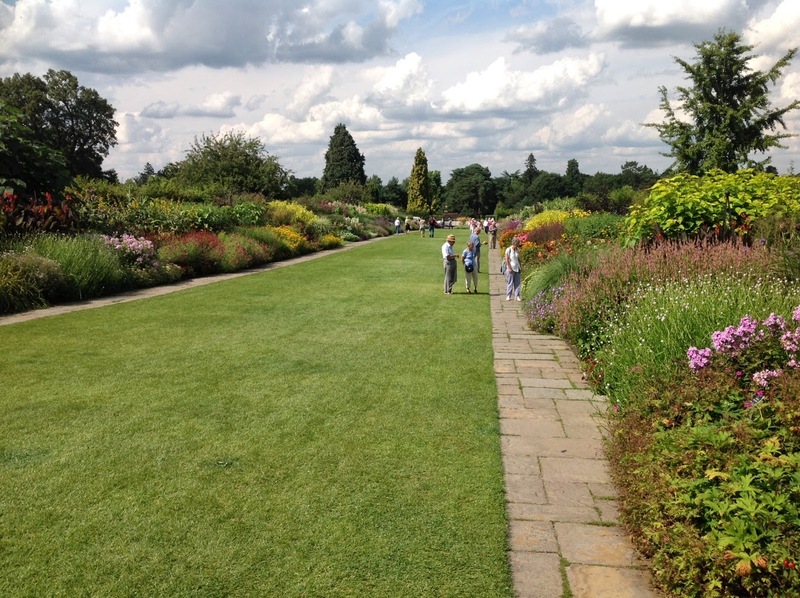 The grass borders have been greatly enhanced by the planting of perennials among them, and the seam of Verbena hastata running through them is extremely successful. 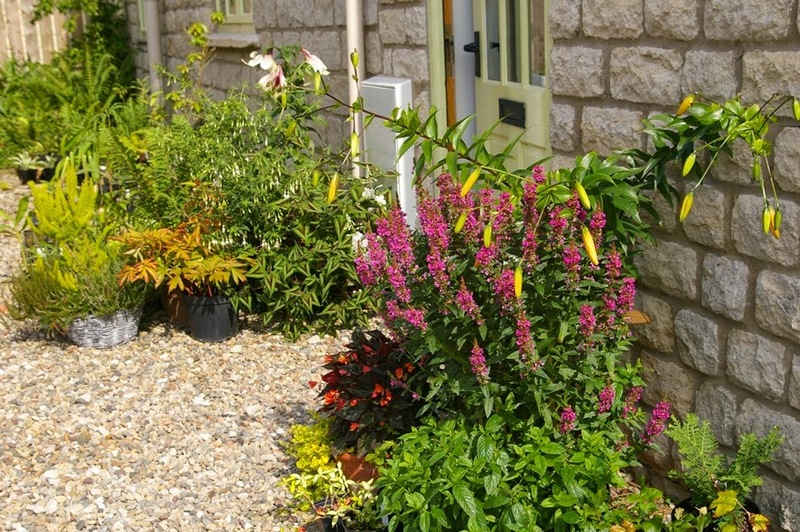 At the front of the house is a group of large pots, most of which contain one variety of lily with other things This is Lilium 'Firebolt', sharing its pot with Argyranthemum 'Levada Cream'. 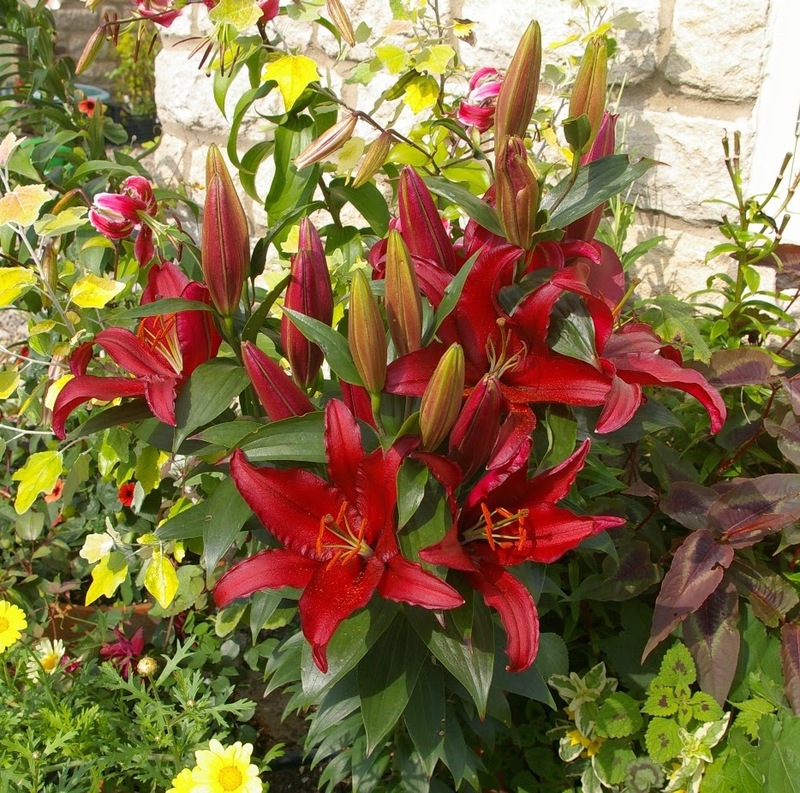 Great colour, but the flowers are huge and rather 'neck-less', being somewhat buried in the foliage. 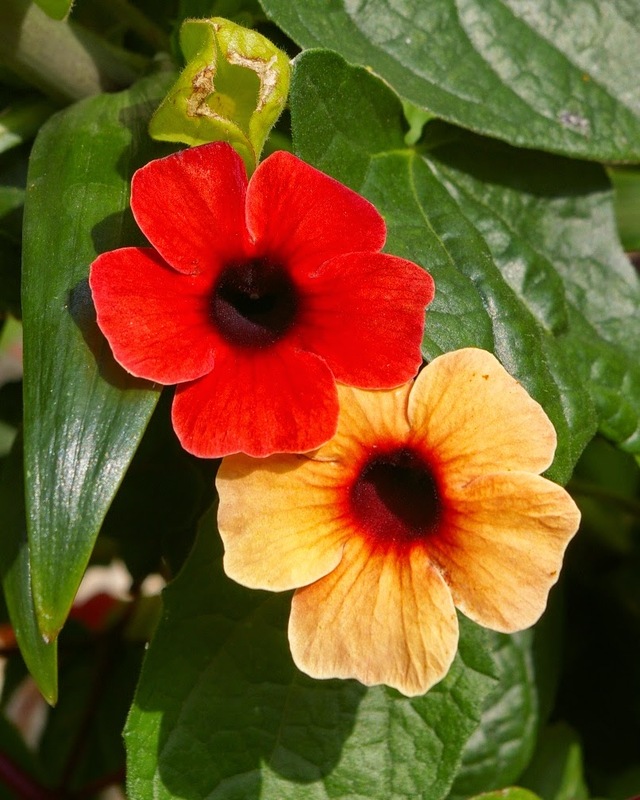 Thunbergia 'Arizona Dark Red' climbing on lily stems. This would seem to be a hybrid of T. alata 'African Sunset' and another species. 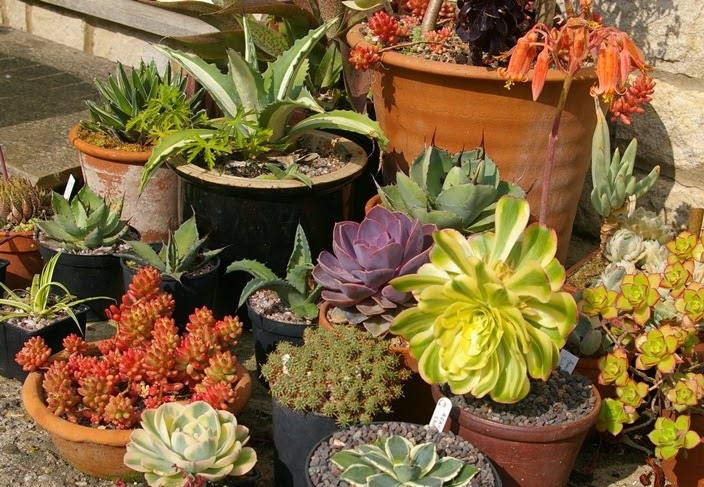 The succulents are inconvenient to keep over winter without a greenhouse, but so rewarding in summer. 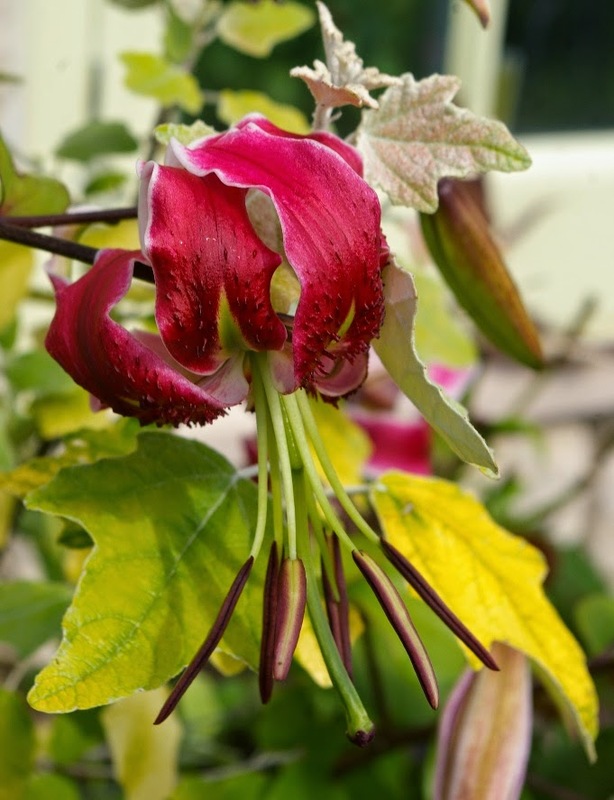 Lilium 'Black Beauty with Populus alba 'Richardii' - not a conventional container plant, but it caught my eye when I was planting the pots. By the back door: Lythrum salicaria 'Robert' with peppermint, Lilium henryi behind. 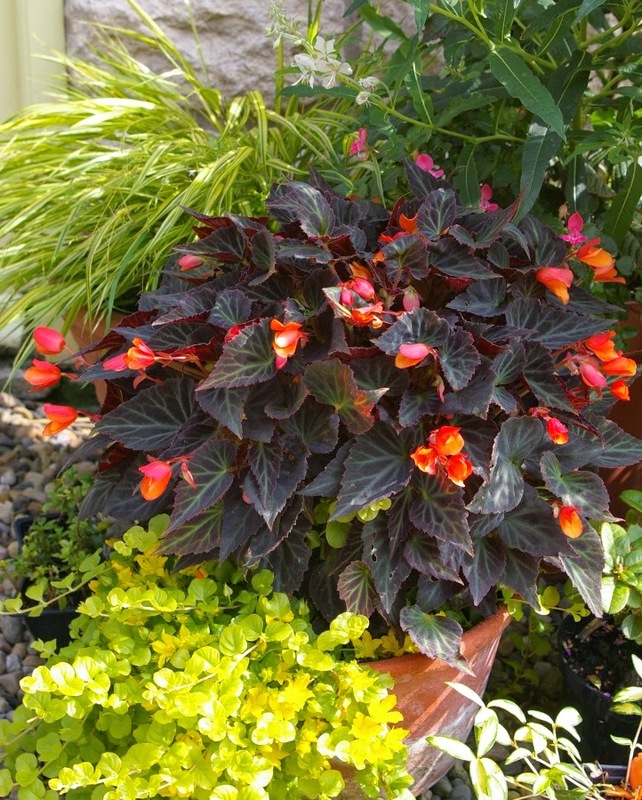 Begonia 'Glowing Embers' with Lysimachia nummularia 'Aurea' and Hakonechloa macra 'Aureola' behind.